A cool looking tiny promotional fridge from Google that looks more like a cartoon spaceship from Mork & Mindy. No info about technical specs yet, guess chill two bottles of Coke would be no problem! 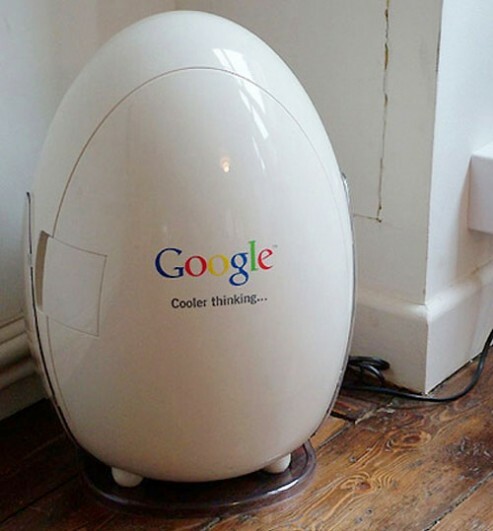 No info on technical specifications or how much power consumption this cute tiny Google fridge need.